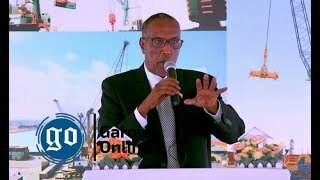 HARGEISA, Somaliland - The self-proclaimed state of Somaliland has on Saturday refuted decision by Somali PM Hassan Ali Khaire nullifying an agreement signed between the UAE ports operator DP World and the Ethiopian Government to acquire a 19 percent stake in Berbera Port, Garowe Online reports. 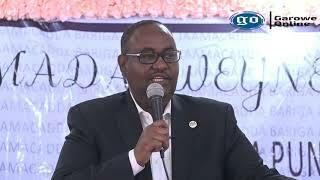 The Somaliland Minister of Information, Abdirahman Abdullahi Farah, known as [Guri Barwaqo], said in a statement that the government of President Musa Bihi Abdi worked to conclude the agreement with DP World and the Government of Ethiopia. 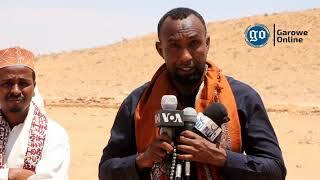 Farah has added that the Republic of Somaliland is a “sovereign and independent and does not allow others to prejudice its sovereignty”. 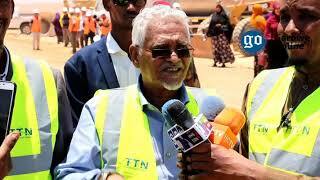 "Somaliland has right to enter agreements, Berbera port deal was signed while Somali PM was in UAE," he said. Last Friday, Somalia's Federal Government has denounced the port deal, terming the agreement "unconstitutional, null, and void." 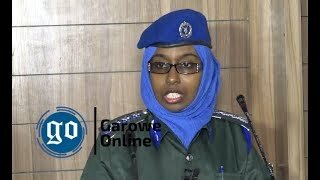 The Somali Ministry of Ports and Marine Transport said in a statement released on Friday that the government was not a party to the "so-called agreement" which it termed as defective.